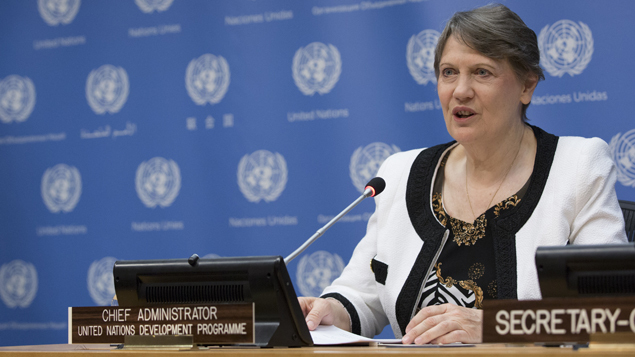 GENEVA, August 9, 2016 – Following today’s indictment of a United Nations Development Programme (UNDP) aid worker in Gaza for supporting Hamas terrorist activities (see press release below), UN Watch is calling on UNDP chief Helen Clark, a candidate to be the next UN Secretary-General, to draw conclusions, and for Ban Ki-moon to urgently establish an independent, international commission of inquiry to investigate the apparently pervasive subversion in Gaza of UN and other international humanitarian aid funds by Hamas. “No one is accusing UNDP senior management in New York of knowingly aiding Hamas activities, but when they fail to implement minimum controls in a place ruled by a murderous regime—as documented with OCHA in Syria—that could amount to extremely reckless conduct,” said Neuer. “While UNDP and its partner UNRWA insist that they act solely in response to humanitarian need, with impartiality and neutrality, and that their goal is to improve the economic and social conditions of the Palestinian people, the disparity with their compliant approach to Hamas appears to be influenced by their fear of being expelled from Gaza, or of other more severe consequences, requiring that they stay in the good graces of the Hamas regime,” said Neuer.